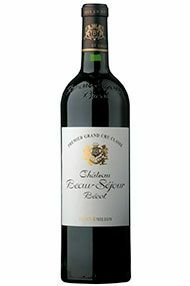 Beau-Séjour Bécot, an llustrious St. Emilion property was stripped of its 1er Grand Cru Classé status in 1985 and was relegated to the category of St.Emilion Grand Cru due to Michel Bécot's incorporation of a couple of non 1er grand cru vineyards. 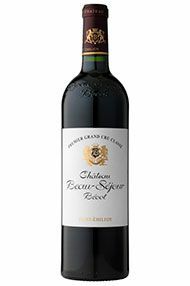 The decision was reversed in 1996 and Beau-Séjour Bécot is now one of the leading 1er Grand Cru Classé 'B' properties. Beau-Séjour Bécot's 20 hectares of vineyards are superbly sited on a limestone plateau in the north-west part of the appellation. The wine is a blend of 70% Merlot, 24% Cabernet Franc and 6% Cabernet Sauvignon - the grapes are fermented in temperature-controlled, stainless steel vats, and the wine is matured in oak barriques (50-70% new) for 18-20 months. The ubiquitous Michel Rolland is a consultant at Beau-Séjour Bécot and the wines, not surprisingly, are full-bodied, concentrated and rich with layers of seductive cassis-scented fruits and hints of smoky new oak. Displaying a tight-knit kernel of explosively ripe fruit on the mid-palate, a silky texture and beautiful balance, with enticing aromas of ripe berry fruit, this is tasty wine. It has a freshness and charm along with great finesse and very fine-grained tannins. A vibrant nose jumps out of the glass of this wine, with chocolate, mocha and plum notes to the fore. There is some real flesh and weight on this gorgeous nose! It has a lovely mouthfeel to the palate too, with plump red fruit and a spicy oak edge. There is a finesse and freshness to this that really sets it apart. A very classy wine this year from Ch. Beau-Séjour Bécot. Superbly located on the limestone plateau in the heart of St. Emilion, Ch. 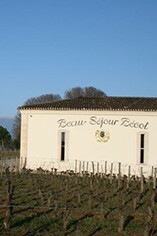 Beau-Sejour-Becot’s is one of the leading 1er Grand Cru Classe ‘B’ properties in the appellation. The 20ha of vineyards are primarily planted to Merlot, with Cabernet Franc and a small amount of Cabernet Sauvignon also contributing to the final blend. Often full bodied, the wines demonstrate the rich potential of Merlot on the Right Bank. The very hardworking Becot family are now moving away from an obvious and bold style dominated by oak to a more traditional and fruit driven style of St Emilion. The return to a “real” St Emilion style is showing particularly well here as the wine is very focused and intense, the fruit is precise and the use of oak very well managed with a very long and elegant finish. I am a fan of this estate and very pleased to see the vineyard delivering its true potential. 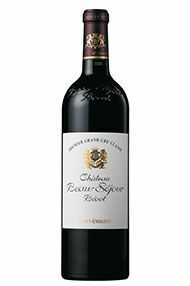 Situated right in the heart of St Emilion, the vines grown on the deep limestone soils of Ch Beauséjour Bécot produce a deep and concentrated wine. The 2017 displays a mix of strawberry and dark cherry fruit with a touch of spice and vanilla. The wine is rounded on the palate with firm chalky tannins that will allow it to develop into a very attractive wine in the future.